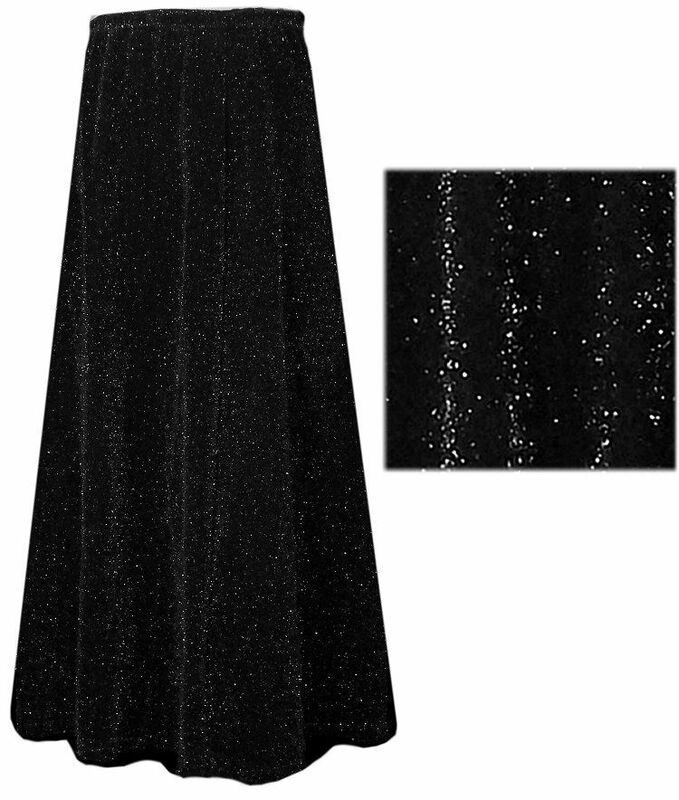 This is a stunning black with black glimmer skirt in roomy sizes 0x to 9x. (check measurements below!) It is a hand washable lycra blend, and hangs like a dream! Very slinky, not clingy at all! Unlike glittery dresses, the glimmer is actually part of the fabric. The skirt is a-line, and has an elastic waist. 0x - Hips: 45" - Length: 37"
1x - Hips: 50" - Length: 38"
2x - Hips: 55" - Length: 38"
3x - Hips: 60" - Length: 38"
4x - Hips: 64" - Length: 39"
5x - Hips: 68" - Length: 39"
6x - Hips: 72" - Length: 39"
7x - Hips: 76" - Length: 40"
8x - Hips: 80" - Length: 40"
9x - Hips: 84" - Length: 40"